Kill Me Softly by Sarah Cross. Publication : Published April 10th 2012 by Egmont USA. I'm a sucker for fairytales, I mean, who isn't? Every girl I know loves them and the sad thing is, now that we're all grown up, there's paranormal, dystopia, sci-fi and a whole bunch of fancy genres but no more fairytales. Kill Me Softly by Sarah Cross is a book based solely on fairytales - I don't think I need anything more to make a book amazing for me! Ever since ABC's Once Upon a Time aired, I've been dying to get my hands on a fairytale based YA or Adult book and I was so happy when I got the ARC of Kill Me Softly. Girls became victims and heroines. Boys became lovers and murderers. I was sucked in by the prologue alone. The story begins with Mira (Mirabelle), tired of her overprotective guardians, running away to Beau Rivage - the place where her parents died - before her 16th birthday in search of answers. When she gets there, she mets two boys, Felix and Blue, who're brothers and yet as different as day and night. At Beau Rivage, Mira gets her answers - way more than she asked for - and is forced to make a choice between accepting or fighting her destiny. To begin with, let me just say that if you loved Fairytales as a child and still enjoy them, then this book is definitely for you. Sarah Cross stays true to traditional fairytales in her novel, while adding a few twists of her own. Mira, our protagonist, blends in perfectly with the time-honored cast of fairytale heroines - she's strong, curious and easily falls in love. The two brothers, one playing the typical bad, rude boy and the other as the good, kind, perfect guy pretty much make a standard love triangle. Sarah Cross's imagination's fantastic! We get to meet all our favorite fairytale characters but see them from a different light - the good, the bad and the ugly - before we get to the happy ending. I may have loved fairytales as a kid but as an adult, it's hard to be satisfied with just a 'and they lived happily ever after' and I needed more than the love at the instant love that Mira feels in the book, it made me groan and hit my head against my e-reader. Repeatedly. That being said, I guess the author realized that when she wrote the book because although Mira was pretty naive and stupid at times, it was pretty cool watching her wise up with her choices as the story progressed. Cross has done a wonderful job with her words! Kill Me Softly embraces all the core elements of fairytales with the whole the damsel in distress, love at first sight, good vs. evil etc. etc. and also has the perfect amount of darkness/seriousness that make it suitable for teens and adults. Honestly, I loved it! 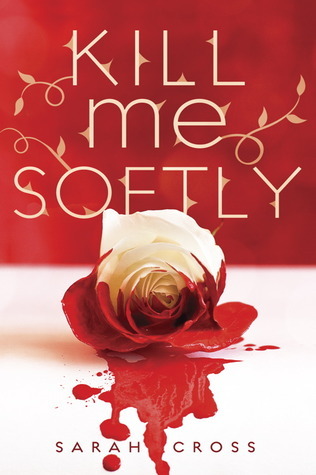 Despite its flaws, I really enjoyed reading Kill Me Softly because most of it stays true to what fairytales are and should be all about. There're probably some readers who won't/don't agree with my opinion but how you like it depends completely on what your expectations are going in. I'm going to be reading this one soon and I'm so excited! Glad to see you enjoyed it so much.